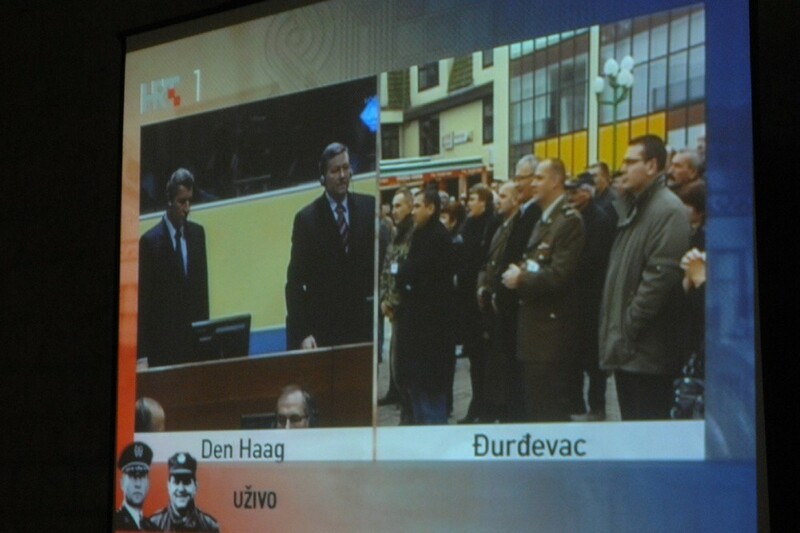 The Hague War Crimes Tribunal has freed Croatian Generals Ante Gotovina and Mladen Markac at their appeal hearings this morning. Ante Gotovina was sentenced to 24 year imprisonment in 2011 for alleged war crimes in the Krajina region of Croatia in 1995, as part of a liberation operation as the area had been under Serb control since 1991. Former General Mladen Markac was sentenced to 18 years imprisonment for his alleged role in what the court described as a ‘criminal enterprise’. Both Generals always strongly denied targeting civilians. Both Generals were freed by appeal judge Theodore Meron and will return to Croatia where they will be reunited with their families. The ruling was watched on big screens all across the country, including at the Revelin fortress in Dubrovnik. Euphoria has taken over in Croatia and the celebrations will most likely last until the early hours.